We fishing folk are looking at water constantly. From the bow of a flats boat. Deep in the river carefully shuffling over rocks. From the beach in the surf searching for stripers or snook or searuns. But do we really know what we’re seeing? Are we getting all the facts that water can tell us? Do we experienced fisherfolk really understand the fish’s medium? The answers lie in this marvelous, easy-read, fun book. Not focused on fishing but highly informative for those of us addicted to fishing. The author is the real deal. Example: wanting to verify the navigation skills claimed for the Vikings, with a companion he set out from the Orkney Islands to Iceland sailing a 32-footer, determined to get there using only the tools and techniques of those ancient mariners. Nearly 600 nautical miles. He got there reading water. This is essential knowledge for all of us who fish. I’m a physical oceanographer with many years on the bridge of Navy ships and many more in boats and on the riffles. I learned a lot. Read it. 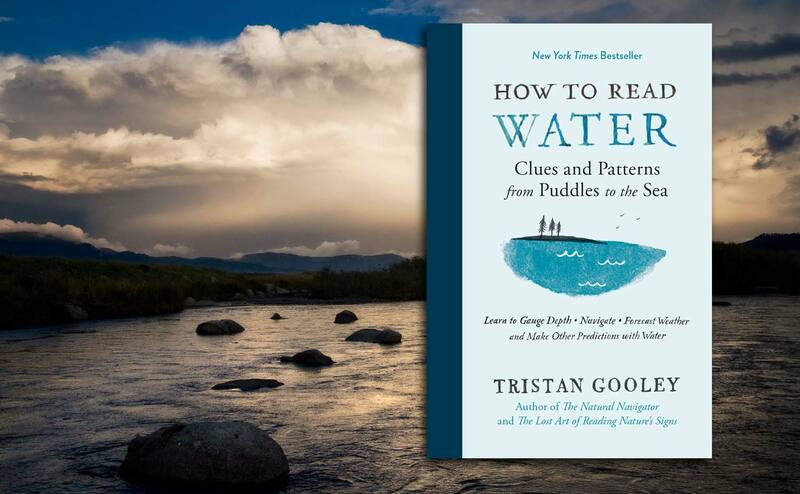 This entry was posted in Fly Fishing Tips & Technique, The Hot Ticket and tagged Book Review — How to Read Water: Clues and Patterns from Puddles to the Sea by Louis Cahill. Bookmark the permalink. After reading the review, I think in this book, we get all the info about fishing and different pattern flies which are used from ancient time. Great, Keep sharing.